Smell on body pre toast is mild, cant distinguish anything much. Off the foot I get a musty smell with some sweetness in and out. Smells great. 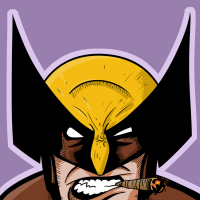 Sloppy double cap, but the cigar actually looks good. Tight and neatly rolled, so squishy points, or overly hard areas. Smooth chocolate appearance, not too many visible veins, nice and oily. Pre toast draw is loose. The musty flavor is still there with earthy tones, like dirt. 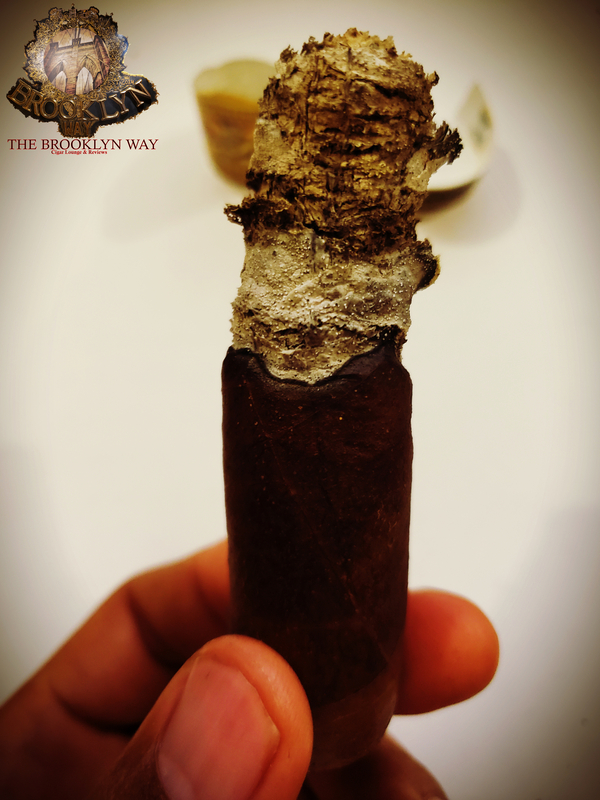 It's not bad if you are a lover of more earthy flavors in a cigar. Mild. Mild on retro hale, not strong, short finish, no pepper. I'm getting vanilla, but not sweet; plants on the palate, musty earth tones on retro hale. Taste pretty good. Though this cigar isn't sweet, I'm getting the smell of molasses, which smells amazing. Smoke very thin off the foot, but thick and creamy on draw, very silky. Nice burn, pretty even. Solid white ash, minimal cracks, and holding up about an inch so far. This seems like it's going to be a quicker smoke, as it's burning pretty quickly. Doesn't appear to overly burn on its own, however the loose draw provides a deeper draw for some, and with that it will burn. Still mild, very mellow on retro hale, so if you're one whom likes to retro hale, but don't like the in-tenseness from the after effect, this is a safe bet. Nutty flavors, earth tones, grass, must still there, however that quick taste of vanilla is gone. Still smelling molasses and earth off burn on foot. Smoke still thin off the foot, and heavy on the draw. The smoke is a little dry, but nothing harsh. Still has a loose draw. The burn has changed, now wonky, and flaky. Ash just fell an inch in. flakes like snow, required two touch ups. Getting warm, but not mushy. Still a mild smoke, the very tip of medium at best. No buzz at all. Still presents earth tones, plants, the vanilla returned, mustiness still there. Smoke aroma off foot still great, molasses and plants. Draw has gotten a little tighter, but nothing too noticeable. Smoke output the same. The ash has leaned more to the darker grey side, still flaky, and I had to touch it up again. The heat died down ending the 3rd, not mushy, pretty solid all the way through. Burn definitely was wonky, and required touch ups. Ash stood solid for about a half inch to an inch, and remained flaky pretty much consistently from the 2nd 3rd. Nice band, which is normal for Gurkha, no glue issues, band came off easy. Smoke output was very nice and pretty consistent. Flavors over all were more complex than I thought they would be, which is pleasing. 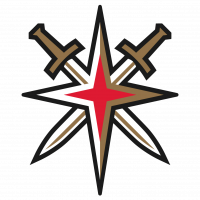 This is a mild cigar, tip of medium at best regarding strength. Over all construction pretty solid, no 2nd and 3rd cracks or unravels as a lot of people have experienced with Gurkha. 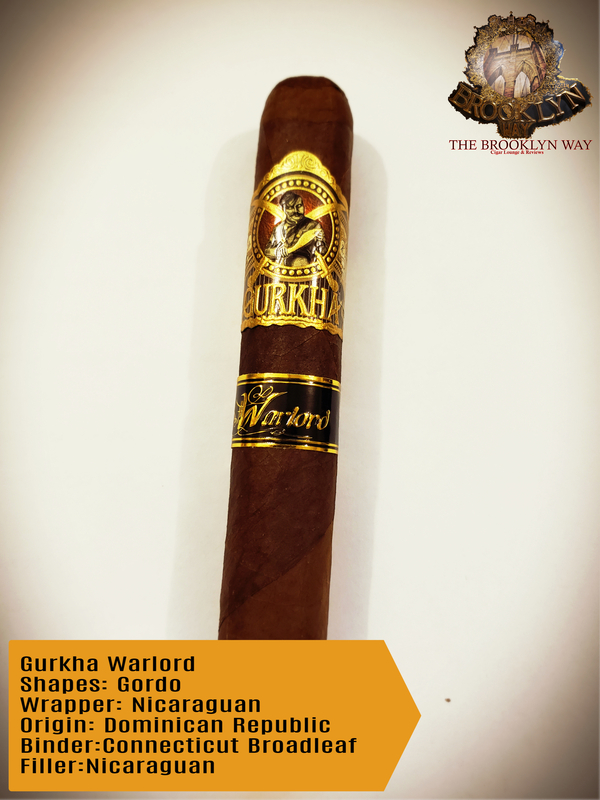 Anyone who knows about Gurkha knows they have SO many blends and brands that in the cigar world they tend to get a bad rap. This cigar has that same "oooh" & "ahhh" appeal when you look at it and its band, but it's just smoke and mirrors...it's an ok cigar, nothing to really complain about, nothing to write home about either. I do recommend, and will have another in the future...if they don't get replaced but another blend. That's funny. You know, oddly enough, I've had a couple of good Gurkhas which I will review soon, but the Ghost & Governor are great imo. I'm impressed. You smoked a whole Gurkha all the way down and it didn't swell up and fall apart. Gurkhas are like the strippers of the cigar world. You see them and get all excited, then they start peeling off and while you may remain excited, you ain't gettin' any. 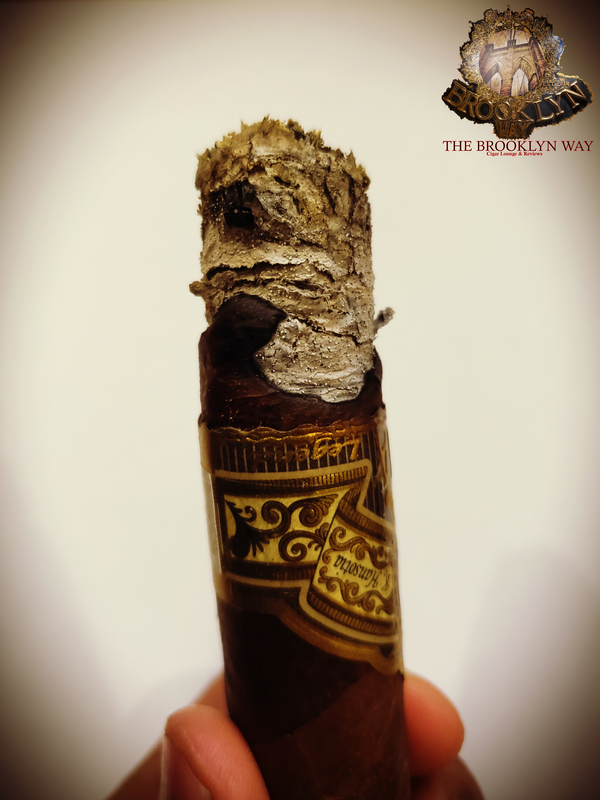 Hey, Brooklyn... not to tell you what to do, but if you are posting reviews in an attempt to be an asset to this forum, you might consider some cigars that others here will actually smoke. You do a good job on the reviews, but it's like yelling at a deaf person if nobody is going to go out and buy a Warlord. Whether you gave it a thumbs up or a thumbs down, it's just not going to be of any help when it comes to reviewing something like a Ghurk-****. 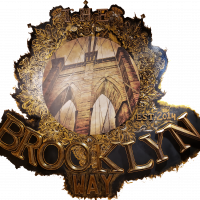 @TheBrooklynWay,......... What @peter4jc is trying to say is he wants to sponsor your newbie trade. Just in case, @TheBrooklynWay, I did not mean to disparage your review. Quite a good review. And, for what it's worth, I'll say again as I have elsewhere, if you get a good Gurkha it's a great cigar. They're almost always high quality tobacco, yet they so frequently are un-smokeable. Ends up with me getting 2 for the price of 5, and so I don't buy them. That's hilarious. Yeah, I'm very in tune to Gurkha and the impression they leave in the cigar world, but I stopped following the law of the land when I had a couple of good ones. They are a gimmicky brand, a lot of flash, too many blends to be taken seriously, but hey, if I get a good one; I'm going to let it be known. I understand what you are trying to convey but what I'm trying to do, and what I've been doing is bigger than this group a lone, or any one cigar brand. What you're saying is like it being a FACT that NO ONE smokes or appreciates Gurkha, and I know many who does. Your comment and suggestions alludes to you knowing factually that not ONE member in this entire forum smokes or likes Gurkha, and I doubt you can make that claim. I respect your opinion, but I will be open to review EVERYTHING...I have to as a reviewer. 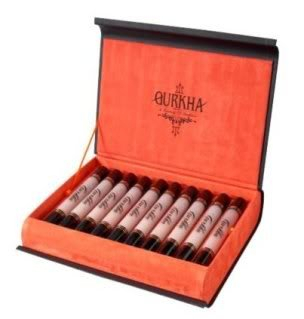 Not to mention, again, I have had a Gurkha or two that I personally like, which shows they aren't all bad. Thank you for your kind words, and I understand your opinion, but I have to be open minded while doing what I do. I understand. I have had Gurkhas that absolutely fell apart, and I had the Ghost & Governor which I've never had an issue with at all...ever. Again, being in this for as long as I have been, I know quite a few people (as I'm sure you can easily find if you google and look in other groups or forums) who swear by them being great. For what I do, and the level that I'm trying to do it on, I'm never going to shut out a brand all together simply from "some" or "maybe more than a few" negative public perceptions. I'm sure we all have a stick or two in our humidor that one of us would be like "Man, that's a piece of sh*t", but, one mans trash, is another mans treasure. I enjoyed a few Ghurka Beautys before I was informed that I wasn't supposed to like them, lol. Just keep them in the Ratings and Reviews category. We ARE in the "Ratings & Reviews" section of the forum. This review has been placed exactly where it should go. Why do you, (and the others that agreed with your post,) want all cigar reviews in one thread? Why would it be better that way? No, no,.... I'm not upset. Don't go away please. I just wanted a clear reason as to why. I can guess why you would want it that way, and if my guess is correct I can understand and even agree with you on that point, but don't want to put words in your mouth. I'll take a guess as to your point. Anytime someone posts regularly on the same topic, (reviews, or whatever) these multiple posts linger on the front page of the forum and take up too much space. And plenty of guys aren't that interested in reviews in general. But, if the reviews are all in one thread, they don't take up as much space. Am I close to making your point for you, or am I off the mark? There are some decent Gurkhas, if you get them at a reasonable price and remember what they are. Rogue Rascal is one that I'll buy once in a while, as it is usually cheap and not a terrible cigar when I am working on something. The problem I run into is seeing a cigar for $12, that you have to fight it, to smoke it. The Gurkha Doble Maduro Double Maduro wasn’t too bad from what I remember. I got a cheap deal on a pack. Gave some to my dad. He said his ash was so flakey, but other than that he enjoyed them. I don’t remember any issues with mine. If I still have any left may have to see if time in the humidor made any difference. I did give one to a buddy of mine. Have to follow up with him to see what he thought of it. I also sent him home with a Montecristo classic platinum. Curious to see how ranks them being new to the cigar world.